Message. 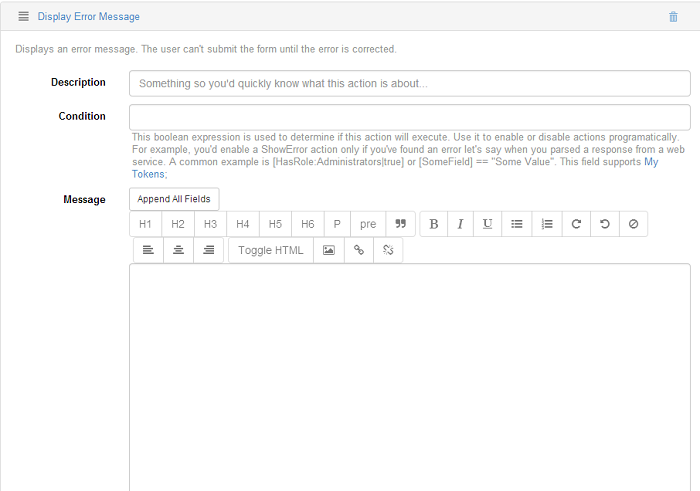 In this text box you can input your message that will be displayed if there are errors when the form is submitted. Example: "Errors occurred while sending the form. Please correct the errors and try again." This field also supports My Tokens.